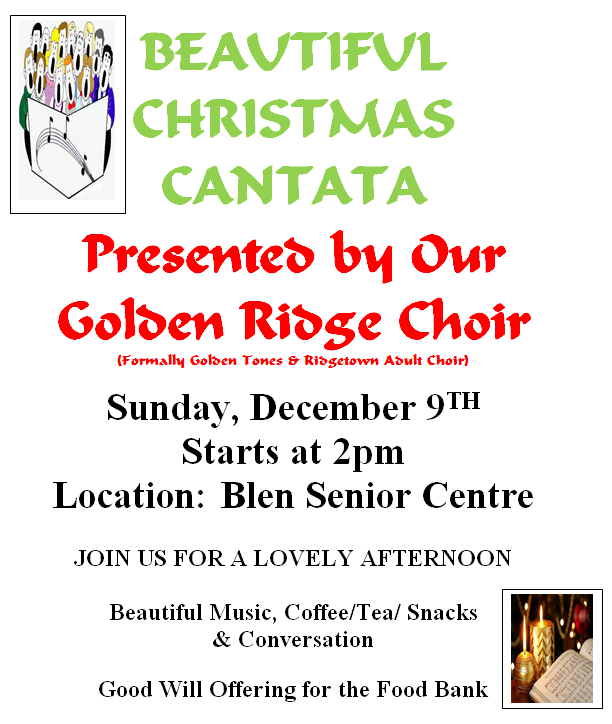 Join us for a Beautiful Christmas Cantata with Our Golden Ridge Choir!! Beautiful Music, Coffee/Tea/Snacks & Conversation!! Good Will Offering for the Food Bank is encouraged.